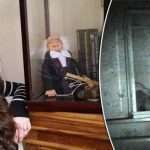 Video footage of a creepy doll has been wreaking havoc on a string of paranormal enthusiasts around the world – reportedly causing one British woman to suffer a heart attack. 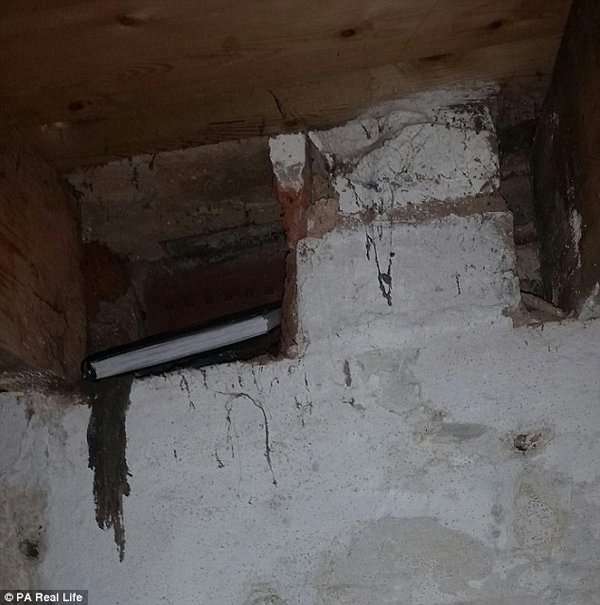 Paranormal investigator Jayne Harris, based in Shrewsbury, Shropshire, said she has received an influx of messages from people describing chest pains, nausea and crippling headaches after viewing photos and videos of Peggy, who she believed to be possessed with an evil spirit. Some reported flashing visions of ‘mental institutions and treatment bordering on abuse’ and overwhelming feelings of anxiety. One woman, who wishes to remain anonymous, even suffered an alleged heart attack after watching a video of Mrs Harris and Peggy in a car together on March 16. ‘If I had to guess, I’d say close to 80 people have came forward with experiences,’ said Mrs Harris, who has been studying spirit attachment since the death of her cousin Kelly in 2000. ‘Some are small, like computer screens freezing, sharp headaches or a sense of dread, but others are more disturbing. ‘One lady said that when she opened a photograph of Peggy, her computer froze on the picture and the room went cold. ‘She then said she felt someone in the room with her and could hear them moving around.This lady was messaging me at the time via Facebook asking me to quickly advise her on what to do. Mrs Harris continued: ‘Another lady yesterday said she had been experiencing light bulbs blowing and a presence in her home after she had been speaking about Peggy. 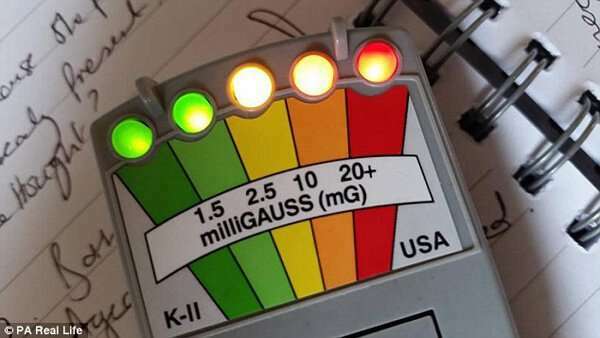 Mrs Harris, who has herself experienced migraines and feeling drained after working with Peggy, said she has never seen a case of this intensity before. 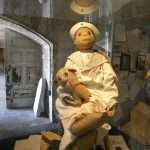 She runs an organisation called Haunted Dolls, and often gets random items in the post with no prior background. Mrs Harris uses an array of gadgets and experiments to piece together the puzzles surrounding them. Peggy was sent to her recently after her previous owner reported a series of terrifying nightmares. ‘She’d wake feeling hot and shaken,’ Mrs Harris said. 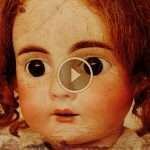 ‘No matter where she moved the doll to in her home, the nightmares persisted. She apparently sought the help of a local priest but two visits later and there was no change. ‘In September she became quite ill with a fever and began suffering hallucinations. 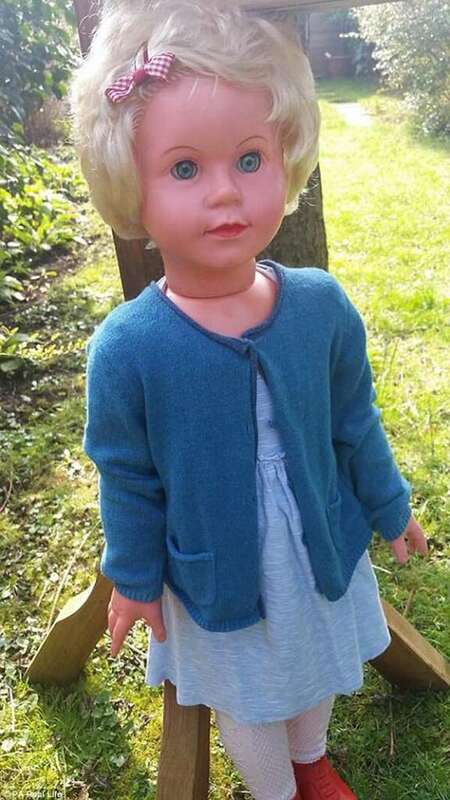 ‘When she recovered, she saw no other option but to get rid of the doll as she was convinced it was at the centre of all that had been happening. The team, along with members of Haunted Dolls’ social media groups, have been trying to put together a clearer picture of the spectre inhabiting Peggy. 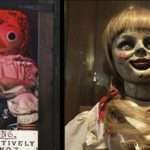 It is thought she is possessed by the spirit of a woman born in 1946 in London’s Holland Park who died of a chest-related condition – possibly an asthma attack – and strongly dislikes clowns. 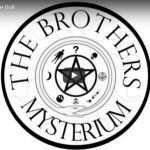 Four different psychic mediums have ‘read’ Peggy, all invariably picking up that she is restless, frustrated and was persecuted in life. ‘We have been told she can affect people’s dreams,’ Mrs Harris said. ‘She recently visited a lady in her dreams, warning her about one of her cats. There is still a shroud of mystery surrounding Peggy’s religion, according to Mrs Harris. She appears to have an aversion to a crucifix necklace she was previously made to wear, suggesting she is not a Christian. ‘A lot of people, including two mediums, have said they feel she has links to the Holocaust and was possibly Jewish,’ said Mrs Harris. 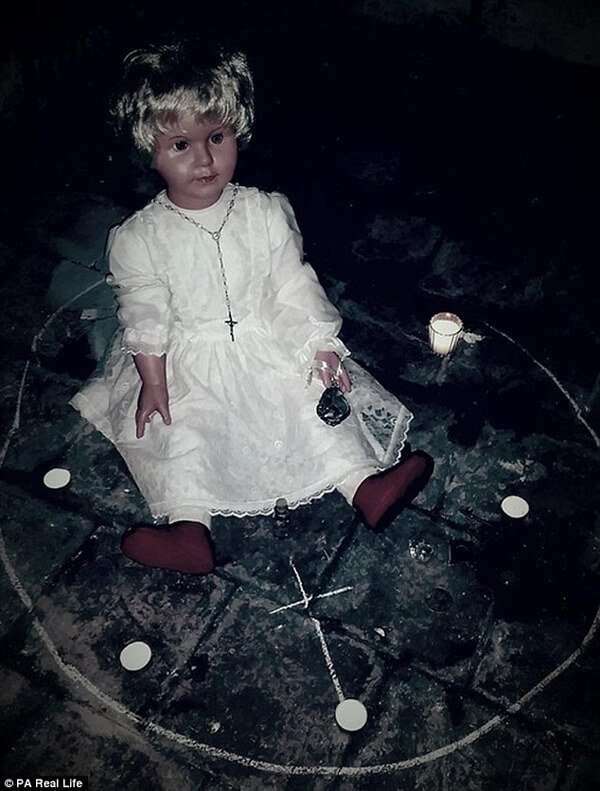 It was during the automatic writing session – a ritual whereby a psychic will communicate with a spirit, producing any messages they have without consciously writing – that an cryptic instruction was passed on to a member of the Haunted Dolls community. 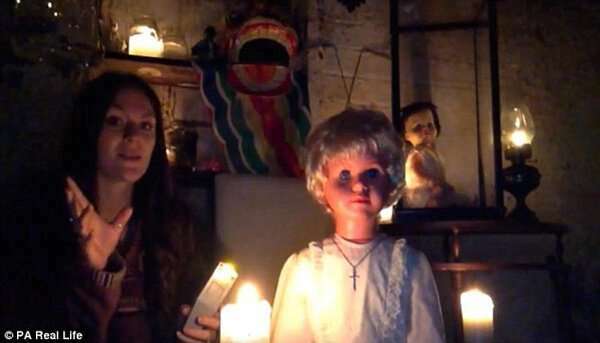 The woman in question, a developing medium known as Lindy, had experienced paranormal activity related to Peggy before when her Facebook page kept posting comments about the doll over and over again. ‘When I commented my thoughts and feelings [about Peggy] all my comments were duplicated – no one else’s, just mine,’ she said. ‘I tried commenting on other threads and nothing happened, but I soon as I went back to that one the same thing happened. My dog started barking and my face became very hot and flushed. I felt like I wasn’t alone. Three days later, another Peggy video inspired Lindy to have an overdue conversation with her daughter about how they were to deal with her mental health issues. ‘My daughter has been unwell for months and things were strained and stressful,’ she said. ‘Late that morning, I found myself having a much needed heart-to-heart with her. ‘All the things I had wanted to say for months were just flowing from my mouth. Lindy did not know that the automatic writing session with Peggy was taking place, but when she logged onto Facebook and saw images of the messages received during the session, one seemed to be for her. 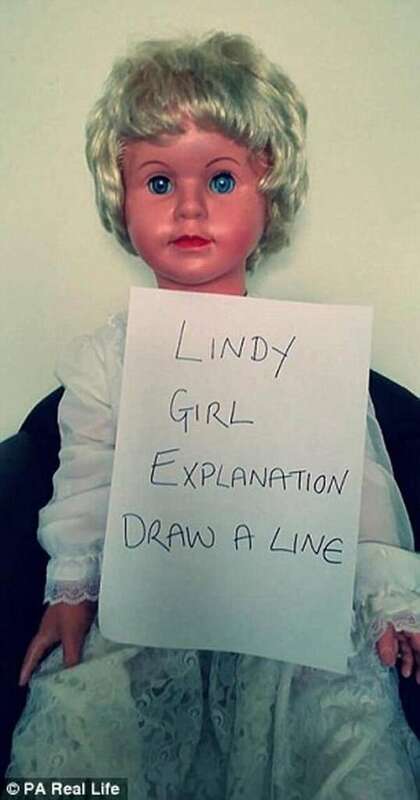 ‘The words LINDY GIRL EXPLANATION DRAW A LINE were written on the paper. I couldn’t believe my eyes. It was basically what had just been talked about between me and my daughter,’ she said. 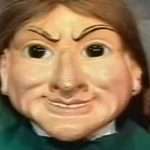 Though they have had offers from other psychics to rid Peggy of her spirit, Mrs Harris and the Haunted Dolls team are going to research her case. ‘I’ve been asked to take her along to various paranormal events and investigations at haunted locations but, for now, I want to continue my private studies into her case,’ she said. ‘In order to do the work I do well, I have to approach each case as a sceptic initially and look for ‘normal’ explanations for things. If it were one or two occasions that things were happening on, I could do that, but with Peggy I just know there’s something more. ‘Just the other night we held a session with her and I made lots of notes as the pendulum was going crazy. ‘The next morning I couldn’t find my notepad anywhere, and when I did find it, I couldn’t even reach it. 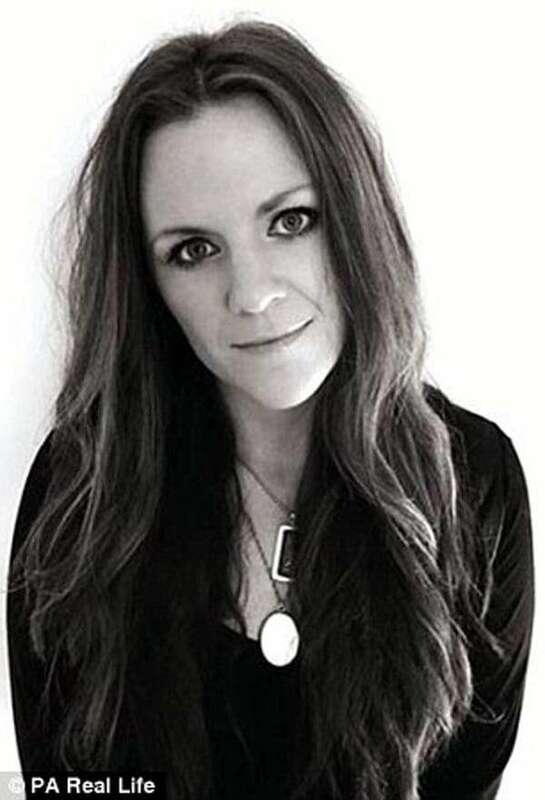 ‘What Dwells Within’, a book detailing some of Jayne Harris’ most memorable paranormal encounters, co-written with Dan Weatherer, will be released in June. I’ll never the doll “John”, that my first wife had..It was a ceramic doll, with cracks, dirty looking + I think it had two teeth. It was just eerie looking + I just didn’t like it at all. 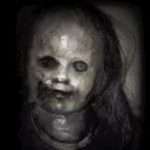 I put John in a closet + everytime I needed to go in there, John nust freaked me out ! I forget how we got rid of John,.but I felt much more comfortable when he was gone !! Bye, bye John !! !